Last week, we published a poll asking you about your feelings towards buying an upcoming Windows 10 Mobile smartphone. We didn't randomly choose last week to do this. We did it because Acer announced no less than three Windows 10 Mobile handsets at IFA 2015 (Jade Primo, Liquid M320, and Liquid M330), while French gadget maker Archos recently unveiled its first Windows 10 Mobile smartphone: the 50 Cesium. Moreover, rumors have it that Microsoft will soon release its own handsets running Windows 10 Mobile, with the high-end Lumia 950 and Lumia 950 XL probably leading the pack. Our poll received the votes of nearly 3,000 users, with almost half (1,421, or 47.41%) saying that they're planning to buy a Windows 10 Mobile smartphone at some point. 936 voters (31.23%) are not interested in getting a device running Microsoft's newest mobile OS, while 640 voters (21.35%) are not yet sure if they'd want to get one - which is understandable, as the first Windows 10 Mobile smartphones may not be released before November. In case you weren't around when the poll was still active, you can use the comments section to tell us if you're planning to buy a Windows 10 Mobile handset or not (eventually, let us know which smartphone is of interest to you). Do you plan to buy a Windows 10 Mobile smartphone? One day I will, when it will have core m chip and run full windows. What apps? Windows Phone has a serious deficit in this area, and many of the apps they do have are inferior to their android/ios versions. 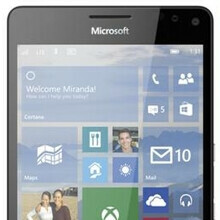 If Microsoft releases a new Lumia flagship, I'm ditching my iPhone and jumping ship. They will, but I'd personally wait until they release a Surface phone. I don't know why they would drop Lumia for Surface. What's so bad about having a brand for phones and a brand for tablets? Haha! Tiles are the best thing that has ever happened to phone and PC! You can personally dislike Metro UI but they are nowhere near ugly! Tiles are addictive! Icons are boring! I give up on these polls. Apparently a majority of you plan to buy a WP10 phone, an Xperia Z5, a Moto X, and a Galaxy Note 5. Exactly. Meaningless in every sense. Funny how with every article they write they say to take it with a grain of salt, but they never say that about their polls. Definitely will pick up a Windows 10 handset from Microsoft. If not a flagship Lumia, then the Surface Phone. I recently got Lumia 640's for myself and my wife. So we are already set to "upgrade" from WP 8.1 to 10. However, I will wait and see how that goes for others for a while since the disturbing stories of MS forcing things on Win10 PC users such as mandatory updates and the new "telemetry" snooping updates are making me rethink the WP 10 upgrade. We switched from Verizon to AT&T around the turn of the year, and she had a feature phone that could not be switched over. I had been using Androids on Vzw for several years, and was used to them, and switched my Droid Razr HD since it was a "world phone" with a GSM radio supporting HSDPA on AT&T quite well. I thought this would be a good opportunity to try out WP since decent phones were so cheap, and I believed that it would be easier to get my wife started on her first smartphone if it was WP (Lumia 635) rather than Android - I think that did turn out to be true. So even though I did switch to a "native" LTE Android for AT&T, an Asus Padfone X (love the 9-inch tablet dock - much nicer than the Padfone X Mini's 7-incher), the endless news of Android malware/attacks/snooping was making me look more seriously at a switch to WP after seeing how it was working for my wife on her 635 (even used her first one a few times after fixing a broken screen - got her a new one when she broke the first since it was only $50). When the 640 came out, I got one for $80, and started using it full time over a month ago, and then upgraded my wife to one from her 635 a few weeks later when I could get it for $70 at the local MS store. Despite such low costs, they have been impressive as smart phones. The Padfone is tempting me less and less to switch back, although it makes for a decent tablet around the house (if a bit heavy). Now, the Win10 PC ugliness is making me wonder - seems like MS going back to its bad old ways again (if they ever really gave them up...). GLad I have been able to switch over to Linux for PC use over the last 8 years or so (even my wife has been using Linux at home for that time, and she is no techie, being an elementary teacher). Windows 8/8.1 has been interesting since I had to use it to run a few programs like my Garmin PND map updater, but I felt as though I could manage it to some degree, and now Win10 is taking that away. Wow, over 1,400 people are going to get a Windows phone? That's double what they sold last year. App Gap is the only cause I need to have an iPhone along with Android! I'm a little bit tired about the inconsistence and poor performance and battery life of Android and about the overpriced iPhones and their insanetely closed OS. I think I'll give Microsoft and Nokia a try. I missed this poll, but I actually MEAN it when I say "yes". Honest. I am keeping an open mind on other OS's, but I am Windows 10's to lose. Only if the mobile experince is bad or if there are amazingly bad rumors flying out of dependable sources that MS is dropping mobile under this new regime would I bolt. I have loved my WP devices, and I am excited to see what MS brings next. By the way, my son is bolting to Andriod- most ikely the Samsung Active series- from WP. He loves WP, but is excited to get back on Android with his friends. This is truly do or get ignored for MS. As I am an optimist, I think the unified OS and the easy porting of Android and iOS apps to MS will help. But this is their last best chance. Been with windows phone from the start had 5 years of them and recently switched to a Galaxy S6 had it for 4-6 weeks and just sold it and saving my money for either the 950 or 950XL and never going back to using a Android phone or IOS unless of course Microsoft axe all phones eventually which I hope never happens. Have a Note 5, iPhone 6+ and now a Nokia 640. I will tell you what, the nokia is the best of the 3 for day to day use and actually making calls. Live tiles are also amazing and the best of all three UI concepts. These results are surprising. MS has about 3% of the market right now, so I thought everyone had written off MS. I do like windows 10 on my laptop (non-touchscreen). Not sure how different the experience will be on a phone. But I need my google services, since I number is ported to Google Voice. If windows phone doesn't have a native way to handle my texts and voicemails to my GV number, it will be a non-starter for me.